Healthcare, boy Ali and our conscience! Ali Ahmadu whose spinal cord injury was operated upon in far-away Dubai, courtesy of a non-governmental organisation raises another question about the texture of our conscience and governance in Nigeria. A recent health-care issue to the extent that a Boko Haram victim, little Ali Ahmadu whose spinal cord injury was operated upon in far-away Dubai, courtesy of a non-governmental organisation raises another question about the texture of our conscience and governance in Nigeria. It’s on the masthead of this newspaper since 1983 that, “Conscience is an open wound; only truth can heal it.” That is the truth we have to face again today as we return to healthcare challenge that has become quite embarrassing in this country. The bizarre thing about Nigeria’s contemporary situation is that the news media highlight all the problems, set agenda according to their constitutional mandate but the authorities most times ignore them and when they respond, blame the messenger and the message. This is the issue with the contextual reporting that the healthcare issues have received in the last few months in the country. Or else how do we deal with a reality that a healthcare issue that has taken a large portion of the leader’s time in a year out of the country cannot receive a needed attention. 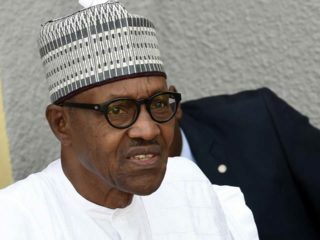 We had earlier referred to it in a comment this week when we called on government to develop hospitals like the UK’s where the Nigeria’s President Muhammadu Buhari is still being treated for undisclosed ailment that took him away for more than 103 days for a second time this year alone. We are still smarting from that stark reality when the issue of successful surgery of boy Ali in Dubai broke the other day. Which means, there is still no hospital that could have operated on the boy in the 36 states and Abuja? This is unacceptable and should prick the conscience of those that have been and are in charge of Nigeria’s affairs since 1999 when democracy returned. Democracy has thus become an emblem of suffering and shame? And here is why in Nigeria, the black man’s glimmer of hope: Although healthcare is one of the basic necessities of human beings, many citizens do not have access to quality and affordable health care. Some of the factors hampering quality health care in Nigeria include obsolete equipment and brain drain that begun since 1985 when the operating environment for research, teaching and medical practice began, etc became unbearable. 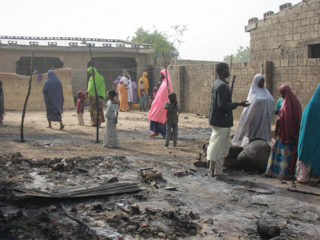 Again, inadequacy of medical facilities, high cost of drugs, sub-standard drugs, wrong diagnosis, poor attitude of health workers occasioned poor remuneration and resulting in the neglect of patients by medical personnel, long waiting time for patients, etc have been implicated in all critical factors that have triggered this parlous state. Indeed, it is obvious that the nation’s health sector is groaning and no redemption song. Most times, these issues are raised: government at all levels are called upon to intervene for more funding to save the primary healthcare sector because health is on the concurrent list. Yet no one seems to care a hoot about this as such reported investments over the years have not yielded commensurate returns. Some others have cited the endemic corruption at all levels as part of the challenges. Apart from calling for increased funding from government, sometimes when there is a quirk, we appeal to individuals to support by paying the medical bills of the less privileged citizens. Remarkably, it is becoming obvious that throwing money at a problem or the kindness of some individuals may not solve the problem because they are merely pragmatic and not so strategic. Hence, till date the status quo has not changed. 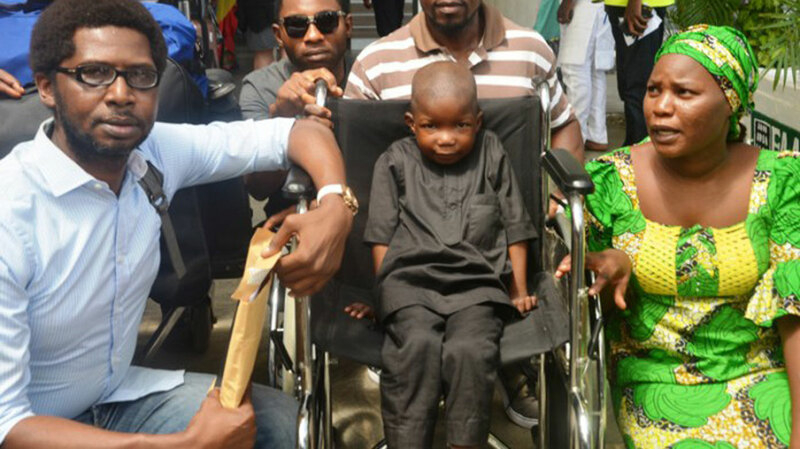 This ugly reality comes alive again when we look at the case of a six-year old Boko Haram victim Ali Ahmadu, who has been battling a spinal cord injury and recently got help from a foundation to go for a corrective surgery in Dubai, United Arab Emirates. Dickens Sanomi Foundation reportedly took up the challenge of paying $48,000 (N17.5 million) for the treatment that was to cost of $65,000. 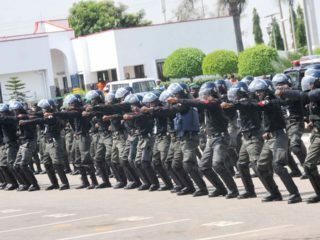 Since there was a deficit, the Foundation also met some Nigerians, including Senate President Bukola Saraki and some other Nigerian lawmakers for assistance, in this regard. This is a social enterprise of individuals and a not-for-profit doing a humanitarian service to a vulnerable citizen. So, what is the role of government? However, the problem persists because there are many who are in a similar situation, but are without help to travel outside the country for treatment. The question at this juncture is: Why Dubai, not the (federal) Orthopaedic Hospital at Igbobi, Lagos? This raises some questions about the state of the apex orthopaedic hospital in the country. So, what is the way forward? Nigerian health sector can be repositioned through a private sector-led intervention. World-class specialist hospitals, driven by local investors, especially members of Nigerian Medical Association (NMA), Nigerians health professionals and experts in the diaspora, health professional organisations, development agencies and health related not-for-profit organisations in partnership are possible. This will raise the bar of discussions and execution in a bid to rebuild the Nigeria’s broken health sector. This collaboration is important because facilities alone do not run hospitals; the human capacity is an important resource. Therefore, the private sector led group can partner with government and take over the gigantic hospital buildings that are wasting away all over the country and turn them into quality healthcare facilities. This strategic partnership can lead to the much-desired revolution in the health sector. It is definitely more cost-effective to treat Nigerians in the country than anywhere else in the world. All told, the fact that there is not even one world-class teaching hospital and one general or specialist hospital in the country at the moment is a reproach that should be removed as Nigeria marks 57 years of independence. As we often ask: whatever happened to the University of Ibadan Teaching, UCH, which used to be one of the best four in the Commonwealth – before independence!